We are a leading Manufacturer of 3 wheel platform truck, 4 wheel platform truck, ms 4 wheel platform truck and ms platform truck from Pune, India. 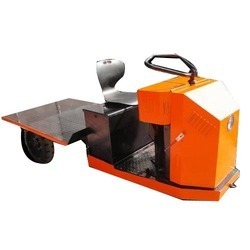 By keeping in mind the varied specifications of our respected patrons spread all over the nation, we are offering an excellent range of 3 Wheel Platform Truck. The offered product is precisely designed and manufactured making use of splendid quality material and latest technology following industry norms. Moreover, clients can avail this product from us at market leading prices. Our precious clients can avail from us a wide array of 4 Wheel Platform Truck that is precisely manufactured making use of state-of-the-art technology & latest machines. The entire array of products is precisely designed utilizing quality raw material procured from reliable vendors. In addition to this, to make sure the quality of industrial norms our team of skilled quality analysts precisely checks the entire array of products. 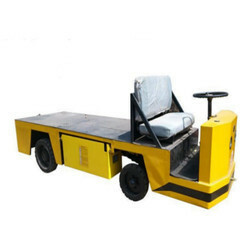 Our firm specializes in offering an excellent range of MS 4 Wheel Platform Truck that has the special compact design for in-plant use, with drawbar hitch for towing trolleys. We manufacture this platform truck employing cutting-edge techniques and quality approved material in fulfillment with the set industrial norms. 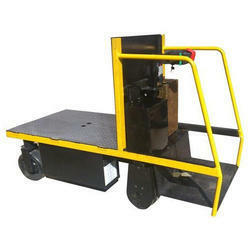 As well, our platform truck is checked by our adept quality controllers in order to avoid any possible defect. 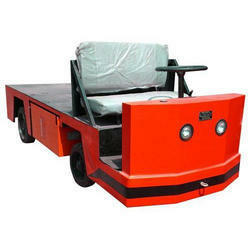 Customers can avail this platform truck at affordable prices. With heart-earned industry expertise & technical knowledge, we are offering the best range of MS Platform Truck. Our offered product is precisely manufactured in such a specific manner that meets assorted needs of clients. We are well-supported by a highly sophisticated technology in the manufacturing process of this product. Furthermore, this is highly appreciated in the industry for their durability & reliability.